First of all, you and your teen need a Bible. 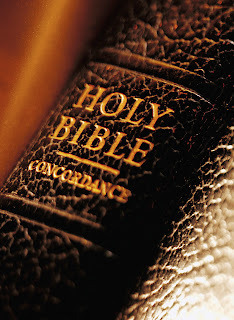 Invest in a Bible with good binding (as opposed to a paperback edition) along with a good translation such as New American Standard or English Standard Version. The next resource I recommend is a good commentary on Proverbs. I taught Proverbs for many years at the Christian school and used Derek Kidner's book on Proverbs. The best book about parenting teens that I have read is Paul David Tripp's book "Age of Opportunity." It brings hope for the parent in dealing with the issues through the gospel. It challenges you as a parent that change and growth begins with you. The next resource I would recommend is for the parent of a teen who seems to be angry and rebelling. Rick Horne offers a new book "Get Outta My Face." Rick provides some great resources in how to communicate with an angry teen and redirect their self-centered desires to God-centered ones. The final resource that I would recommend is actually a book for both you and your teen to read, "Do Hard Things." It is written by two teenage boys who challenge and demonstrate that teens do not have to live in a world of low expectations. I found the book personally convicting and it has made a big impact upon many teens across the country. Read and discuss the book with your teen.